Perryville, Maryland was a divided town in a divided state with over 800 slaves in Cecil County at the beginning of the Civil War. The tensions in the eastern portion of Maryland rose considerably after Confederate supporters attacked Union soldiers as they passed through Baltimore on April 19, 1861. Railroads were destroyed and bridges were burned crippling ground transportation to areas south of the city. As a result, Perryville became a major staging and transportation hub for Union regiments moving to Annapolis and other points south. It was the end point for Union-controlled rail transportation to the south. Supplies and troops were transferred from rail upon reaching Perryville to water transportation. By the time Oliver Case and the troops of the 8th Connecticut reached just before midnight on November 2, 1861, the system for moving soldiers through the city was well established. The soldiers were given only a few hours of sleep in the depot before receiving the command to “fall in” and prepare to board the transport ships for the trip down the Chesapeake. So, on the morning of November 3, 1861, the 8th CVI loaded the boats and departed Perryville heading down the Chesapeake Bay bound for Annapolis. I firmly believe that a division of this Government would inevitably produce civil war. The secession leaders in South Carolina, and the fanatical demagogues of the North, have alike proclaimed that such would be the result, and no man of sense, in my opinion, can question it. This became an untenable position after President Lincoln called for volunteers from the states including Maryland in April of 1861. The governor also struggled to maintain his credibility with Lincoln after he appeared to side with Confederate supporters during the aftermath of the Baltimore riots, also in April 1861. 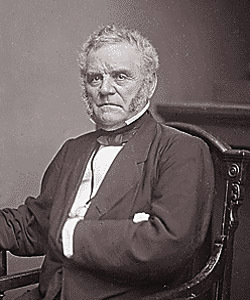 The city of Annapolis had just recently been occupied by Union soldiers and Governor Hicks expressed concerns that the southern sympathies of eastern Maryland combined with the displeasure of the citizens at the military occupation of the city would have a detrimental effect of his efforts to have the state remain in the Union. Oliver Case would soon be on the front line of the efforts to improve relations between the citizens of Annapolis and the Union soldiers.